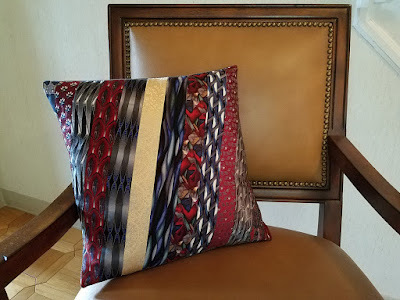 Ties are simply beautiful due to their silk fabric. They make gorgeous memory items. All three pillows shown are 16" pillows. 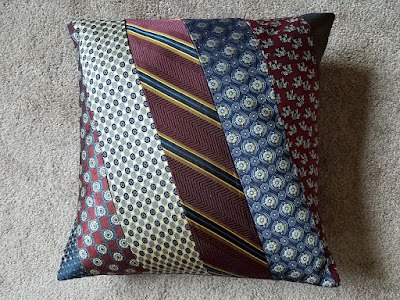 The middle one contains 15 ties the pillows to the left and right contain 8 ties each. 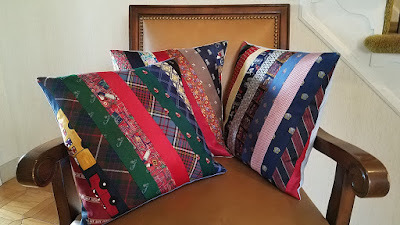 Lots of labor is involved in these pillows but the end result is well worth it.Back it with a dress shirt and it becomes even more meaningful. 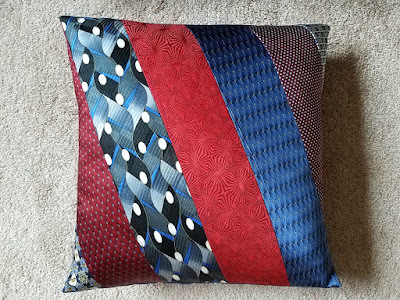 Specialty pillows cost $110-slightly more than the standard patchwork pillows due to the amount 0f extra labor involved.The end result is worth it!